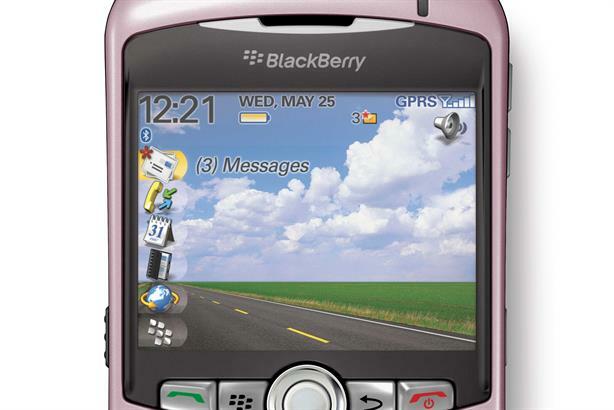 The image of BlackBerry has been damaged by its connection to the UK riots, and the company will need to launch a strong campaign to mitigate further brand damage, PR advisers have suggested. The PM recalled Parliament yesterday to discuss the issue of the riots that swept across the country earlier this week, and suggested Facebook, Twitter and Research in Motion (RIM), the maker of BlackBerry, should take more responsibility for content posted on their networks. David Cameron also warned the Government would look to ban people from major social networks if they were suspected of inciting violence online. RIM said in a statement: 'Further to the statements made on 11 August by the British Prime Minister and Home Secretary, we welcome the opportunity for consultation together with other companies in the technology and telecommunications industry. Diffusion PR head of mobile Ivana Farthing said that that the brand’s involvement in this week’s story had left the public in no doubt that BlackBerry had shifted from being a ‘smartphone for the suits to a cult consumer device’. ‘The next step will be working with both traditional and social media influencers to reinforce the security of the BlackBerry platform to mitigate further brand damage, and effectively monitoring social media forums is a key part of this,’ said Farthing. However, MiLiberty MD Dee Gibbs suggested that RIM would be taking the events in its stride. Firefly CEO Claire Walker said that a ‘knee-jerk’ response from the Government to control social networks could restrict the freedom of expression and business of law-abiding web users. Political speechwriter Simon Lancaster said that Cameron applied the standard structure for crisis rhetoric ‘to the letter’ in his statement. University of Westminster visiting professor of public relations Trevor Morris said that Cameron’s task was made much easier by the fact that the rioting had subsided and Labour had largely tried to avoid ‘party political point scoring’.